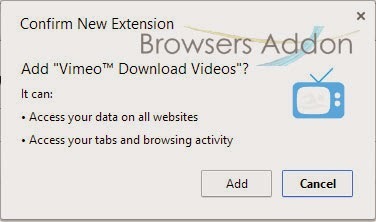 Vimeo™ Download Videos is an extension for Google Chrome which lets you download videos, including HD from popular video sharing site Vimeo. 1. 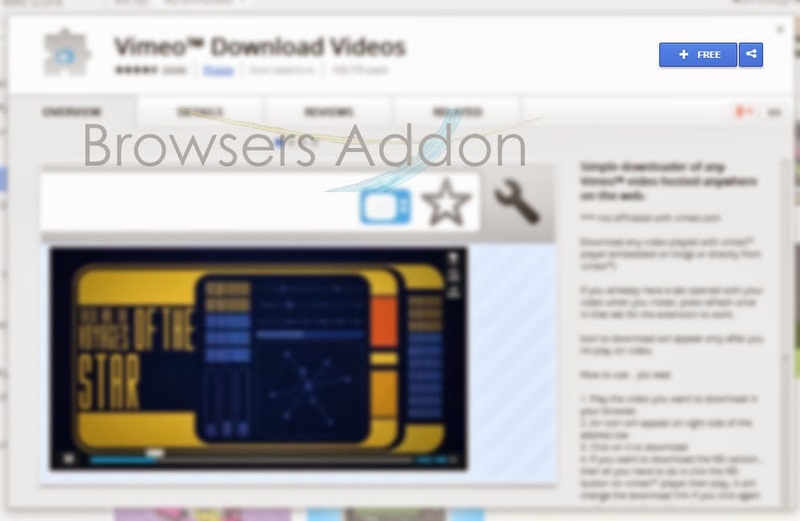 Go to Chrome web store an search for Vimeo Download Videos, or simple click on the above download link and click on “FREE (ADD TO CHROME)“. 3. Now, Vimeo Download Videos icon with message pop up appears at upper right corner of browser, indicating that the extension has successfully integrated with the Chrome. 1. On Successful installation, and upon detection of Vimeo videos, you will notified by Vimeo Download Videos icon at right side of the URL (address) bar. 2. Click on that to download video. To download HD videos, make sure you play that video in HD and then click on the Vimeo Download Videos icon in the URL bar. 3. To access settings, click on “Settings” which is located at bottom right of the download pop-up. 2. 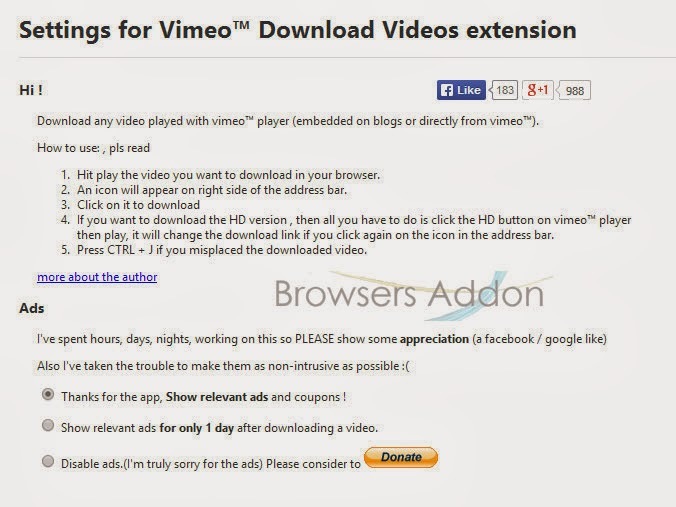 Now, un-tick the Vimeo Download Videos to temporarily disable the extension. Click on the dustbin icon and you will be greeted with pop-up, click “Remove” to remove the extension from Google Chrome. 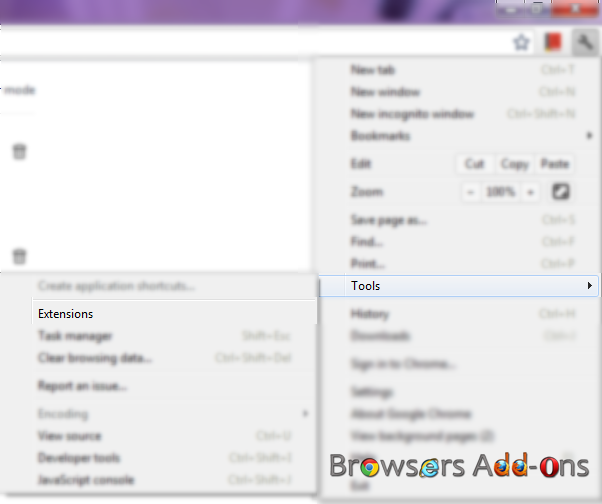 Download YouTube Playlists, Bulk Videos with BYTubeD for Mozilla Firefox. Next story Edit Webpages Before Printing With Print Edit for Mozilla Firefox. Previous story How To: Find the Image Original Source with TinEye Reverse Image Search Extension. Block Web Trackers, Cookies and Privacy related issues with Ghostery for Firefox.